"Return to their Home Town"
Betty and Bob was the first widely popular daytime serial soap opera created by the powerhouse producer-couple Anne and Frank Hummert in 1932. The show was similar to their future soap opera creations featuring a poor simple girl who marries a rich distinguished man. Betty is Bob's secretary and the two fall in love despite the disapproval of Bob's family. Betty and Bob love created drama all around them including family problems, loss of money, murder, death of the young Bob jr., and bouts of amnesia and insanity. Poor Bob was sent to a mental institution on more than one episode. 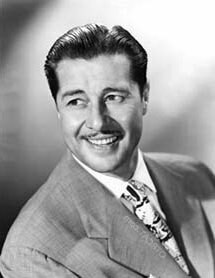 Originally starring Elizabeth Reller and Don Ameche as Betty and Bob, the cast underwent a number of changes. Be the first to comment on "Betty and Bob"